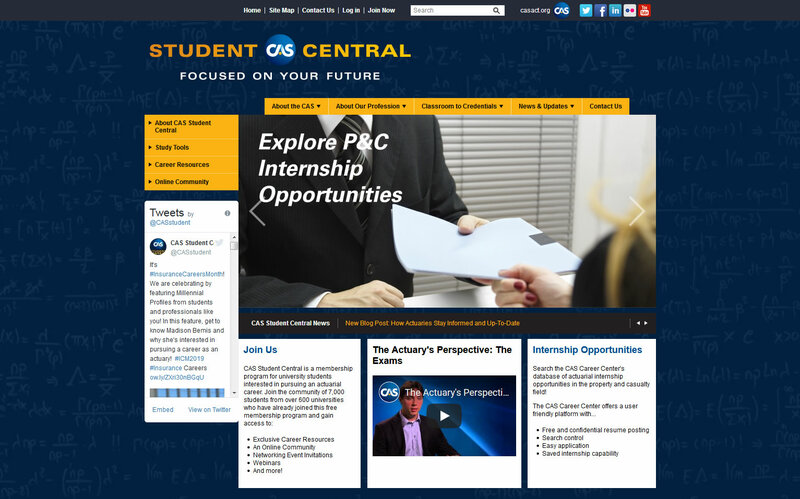 CAS Student Central » Uncategorized » Explore CAS Student Central’s Redesigned Website! Explore CAS Student Central’s Redesigned Website! We are pleased to share that the CAS Student Central website has been redesigned to improve your membership experience. The website, CASstudentcentral.org now features a modern design with improved navigation and easy access to actuarial news, career and study resources. What will you find on the newly designed site? The website is organized into four key sections that will be helpful at various stages during your actuarial career journey. Discover where CAS members work, what programs are available to support you, how to get engaged with a CAS regional affiliate in your area, and how to connect with members through the directory! Have an upcoming interview with a property and casualty company? Read the descriptions of P&C areas of work, learn why it’s a top rated career, and examine the salary survey. Specifically tailored to members, this section features exclusive resources including the CAS Curriculum Guide, Predictive Modeling Software, and Internship Opportunities, all available to support you! Learn what actuarial scholarships and networking opportunities are available, read blog posts and news announcements featuring hot topics relevant for actuarial students, and stay up to date through the CAS newsletters and publications posted in this section. 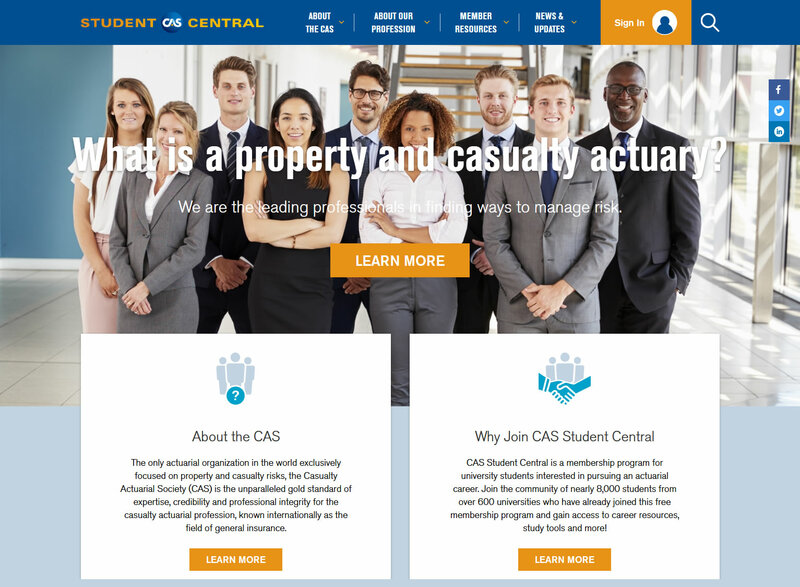 CAS Student Ambassadors were instrumental throughout the redesign process, helping to survey their actuarial classmates on what an ideal website would look like, and giving their input at various stages throughout the project. We leveraged their guidance to ensure the new website would match CAS Student Central members’ needs and style, and who better to guide us than members themselves!